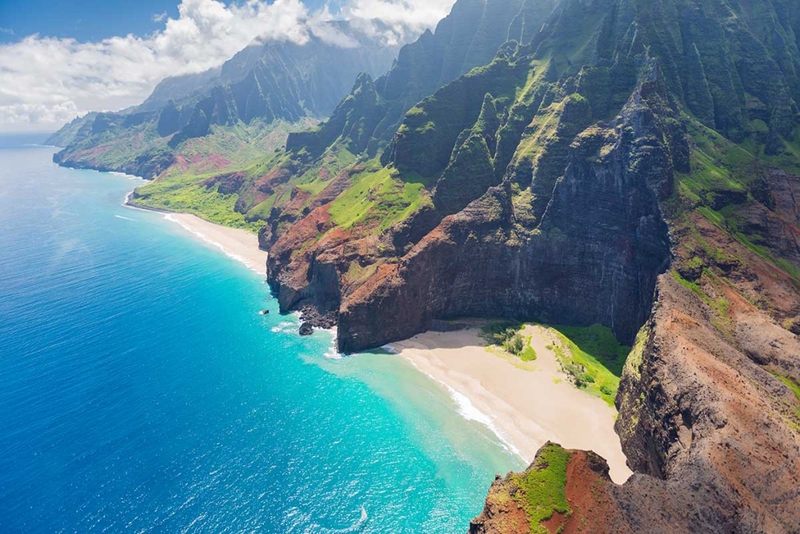 The state of Hawaii encompasses several Pacific islands, each with their own unique characteristics, but all of which share the tropical climate and culture that Hawaii is famous for. The warm weather lasts throughout they year, making the area an ideal getaway during the frozen winter months. Instead battling snowstorms, visitors can expect to enjoy exploring the vibrant choral reefs, sunbathing and surfing on the idyllic beaches, or teeing off on one of the state’s many picturesque golf resorts. Some islands feature volcanoes which, aside from their inherent but alluring danger, provide a wondrous sight for hikers along with the region’s native wildlife. The islands’ birds feature unique, brilliant plumage while the vegetation of trees and flowers is equally as striking. Call us to book your romantic Hawaii get-a-way! And so it begins. Our night snorkel with Giant Pacific Manta rays has always been a favorite—and we’re including on our new summer Aloha Hawaii Adventure Cruise. Guests hold on to a surfboard with lights attached to see these gentle giants’ graceful movements as they feed off of the illuminated plankton. Some guests say it’s one of the wildest animal encounters they’ve ever had. Others have called the Manta rays’ movement almost sensual. All say it’s incredible. Cruise four tropical islands this summer, seeking Hawaii’s wild, welcoming spirit. This new summertime sailing weaves through the islands with a focus on cultural connections, wildlife-rich encounters, and adventure.